Today's Cajuns are the descendants of 1,600 French Acadians whom the British forced from their Nova Scotian homeland in 1785. The local Indians transmuted the word Acadians to Cagians and, eventually, to Cajuns. Today, Creole cookery reflects the full-flavored combination of the best of French, Spanish and African cuisines. Food which can be cooked very quickly while the customers wait, e.g. fish and chips, hamburgers, doner and shish kebabs and Chinese stir-fry dishes. The Oxford English Dictionary defines haute cuisine as cookery of a high standard, especially of the French traditional school. In this context, the term is often used to describe the classical French cuisine. 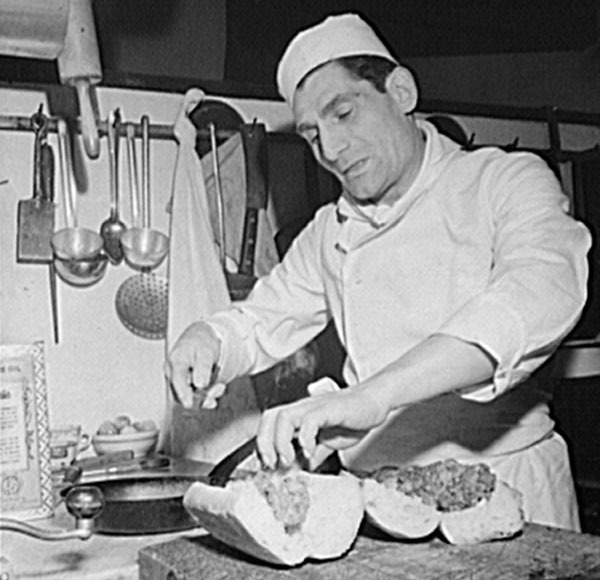 A general term for the food of the Italian immigrants and their descendants, as well as those Italian foods enjoyed by other Americans. A general term for food and drink cooked and consumed by Mexican American immigrants as well as such foods enjoyed by non-Mexican Americans. A term used by billionaire inventor Dr. Nathan Myhrvold, to describe a scientific approach to cooking techniques. Also “modernist cuisine” and “avant-garde cuisine.” A culinary style of the beginning of the twenty-first century by which chefs inspired by the work of Spanish chef Ferran Adrià's highly experimental cuisine at his restaurant El Bulli, in Roses, Spain. A phrase that developed in the early 1980s to describe foods made by American cooks with American ingredients but according to the principles of preparation, cooking, and presentation promulgated by the practitioners of France's nouvelle cuisine. Nouvelle cuisine (‘new cookery’ in French) is a culinary movement that owed its momentum to two food critics, Gault and Millau, in the early 1970s. Set up in 1986 by Carlo Petrini in Italy to resist the onslaught of fast food and the standardization of taste. It aims to preserve local cuisine, traditional food products and know-how within eco-regions. Since the late 1960s “soul food” has been popularly understood to refer to the traditional diet of African Americans. This diet emerged in the Southern United States during the period of slavery and, starting in the late nineteenth century, was transported to the urban North, Midwest, and West via successive waves of black migration. Traditionally an open-air gathering, political or social, in which meats are roasted whole over a pit of embers and food and drink are liberally enjoyed. The term barbecue also refers to the meat being roasted. Heat treatment of food to make it more palatable, digestible, and safe. It breaks down connective tissue in meat, making it tender, and softens the cellulose in plant tissue. To cook food in hot fat deep enough to completely cover the item being fried. The temperature of the fat is all-important and can mean the difference between success and disaster. The act of cooking or being cooked in fat, oil, etc, usually over direct heat. To prepare food on a grill over hot coals or other heat source. To soak a food such as meat, fish or vegetables in a seasoned liquid mixture called a marinade. To boil a liquid (usually stock, wine or a sauce mixture) rapidly until the volume is reduced by evaporation. To cook food in the oven by a combination of convected and radiated heat with good air circulation around it and usually with fat. The object is to brown the surface of the food, to make it crisp and tasty and to just cook the interior to the right degree. Add flair to your cooking by using herbs and spices and varying the seasonings to give your food attitude and style. 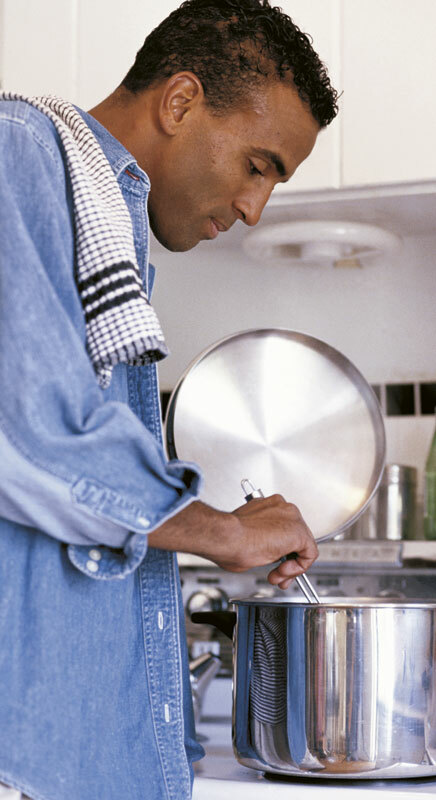 To quickly fry small pieces of food in a large pan over very high heat while constantly and briskly stirring the food. The following emergency substitutions can be made with satisfactory results in most recipes.